If you’re feeling a bit lost and have no idea which campaign type to choose, let us help! We’ve provided more information about each type of campaign below. Most campaigns are available with large and small groups of bloggers and each is tailored to fit your specific needs. Social Media Promotion – Need help sharing information about a sale or contest? Social Media is where it’s at. People across the world spend a great deal of time on Facebook and Twitter. Let us help get your name out there for all to see! This is a great choice for boosting your social media presence, or spreading the message about your company, promotions and products. Review and/or Giveaway – Reviews are a great way to get your brand out there and a beneficial way for potential customers to learn more about your company and products. We will work with you to determine which product(s) would be best suited for this type of campaign and help to get them in the hands of Bloggers who will spread the word through an honest review, linking to your website and/or product page. Reviews will also be shared across each Blogger’s social media channels to reach an even bigger audience. Giveaways along with a review are a great way to create even more buzz around your products and company. You will gain many new followers through your social media channels; as contestants will be allowed to take advantage of extra entries for following you. 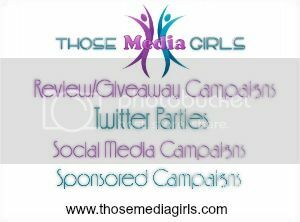 For these campaigns, we will help you choose the right product for each Blogger to review and/or give away. Larger campaigns can be spread out over the course of a few weeks so that your company gets an even amount of exposure. Recipe Creations – Everyone’s gotta eat. Did you know that most people don’t even pick up a cookbook anymore? Instead they turn to the internet for their family meal ideas. Bloggers all across the net share their own tried and true recipes, with real photos and tried by their families. If you have a food product that would work great in a recipe, this type of campaign would definitely be beneficial to you! Bloggers will share information about your product, create their own recipe (or one from your own chefs if preferred) and share their delicious creations with the world! Each post will link to your website and will also be shared across the blogger’s social media channels. Sponsored Advertorial – Sponsored advertorials are a great way to spread your message and get people talking about your brand. We can help you determine a specific message that you would like to share and hand select bloggers who will reach your target audience. Each post will link to your website and will also be shared across the blogger’s social media channels. Group Giveaway – Group giveaways are an effective way to help you gain traffic to your website and new followers across your social media channels, as each contestant will gain addition entries to follow your brand. The larger prize value will create the most buzz surrounding this type of promotion. Advertising – Do you have a banner ad campaign that you’d like to get across blogs? We can help set up a group of bloggers for you! A full report will be provided to you at the conclusion of any campaign. If you would like more information about Twitter parties, make sure you check out our helpful article, “What is a Twitter Party?”, which explains in greater detail.